Angels and demons are like the forces of a magnet; they are invisible metaphysical energy bundles. Energy bundles associated with the God realms are called angels, and those with the satanic realms are called demons. If we hold a magnet in one hand and iron filings in the other, we cannot see anything coming out of the magnet. But at the right distance, the iron filings literally seem to jump out of our hands towards the magnet. Lines of electro-magnetic force have always mystified scientists. We can measure them, we can approximate what they look like, we know there is something happening that has strength and attraction, but it is invisible and not even discernable unless we have the right tools. We can place our hands next to a very strong magnet and nothing happens. But if we have an iron bracelet strapped to our wrist, it could be pulled by the magnet so strongly that we could not move our hand away. In physical reality, every move we make is dependent upon electro-magnetic energy. Our cells are held together by it, the synapses upon which our minds work could not function without it. Gravity is a form of this energy. In the metaphysical realm, rather than call it electro-magnetic, we could call it angelic-demonic energy. Every move we make is supported by an angel or demon; moreover, everything we do creates new angels and demons. In this context, angels do not have personalities, nor are they entities. They represent lines of force, packets of energy like light photons, neither wave nor particle, and they cannot be distinguished except through results. When I bump my head, was I pushed? No. Nothing outside of myself pushed me. Yet I moved differently than I normally do because I normally do not bump my head. Was this a malicious energy bundle? No. Was it a demon? Yes. How do demons work? A demon is a configuration of circumstances that ends up with me bumping my head. A set of combined variables is called a demon when an inevitable result occurs. At any point along the way, however, one of these variables could change. I could turn right instead of left. So I would miss bumping my head. In that case, the turn was a angel. I simply do not realize it because my head was never bumped. Therefore, each moment is packed with conditions that pull me closer to God and those that tug me farther away. Any of these, viewed individually or collectively, can be put on my good and evil scale. I am continuously surrounded by angels and demons. 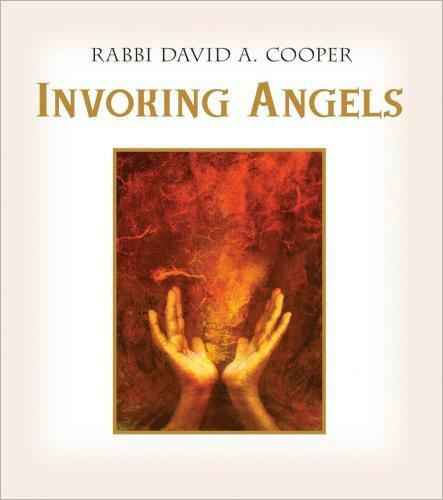 The reference material regarding angels and demons in Jewish mysticism is extensive. Many details contradict each other. A large amount of information is based on medieval mythology, which was influenced by ideas from a variety of sources that extend far beyond traditional literature. There are dozens of archangels, including four primary ones who are often identified in the oral tradition as Michael, Gabriel, Uriel, and Raphael. In addition to these are hundreds of angels mentioned by name in different mystical texts. Many names of angels begin with attributes that describe the qualities of the angel and end in "el" or "yah," which are names of God. But the nature of individual angels is not always clear. Gabriel means "the strength of God," but Gabriel is also called the angel of fire and the angel of war. Raphael is usually known as the angel of healing, but it is also called the prince of Hades. Liliel is the angel of the night, but Lilith--which also means night--is considered to be the arch she-devil. Michael is the angel of mercy and sometimes the angel of prayer; but Sandalphon is also associated as the angel of prayer. Jewish tradition describes an adversarial relationship between human beings and angels. Angels are jealous of humans because we humans have free will and they do not. The midrash says that angels debated whether or not human beings should be part of creation. The Angel of Love felt that it would be a good idea to have humans in this creation because of our potential for expressing love; the Angel of Truth was opposed to human beings because we tend to tell many lies. During this debate God exhibited examples of humans for angels to see, but only included well known characters from biblical lore. Of course, if at the start God had revealed the true nature of human beings to angels instead of showing them the greatest and most righteous people, there would have been an uproar in the heavens. Next, the Angel of Earth rebelled and would not give the archangel Gabriel any dust for God to create humankind. The Angel of Earth protested that the physical earth would be cursed and devastated because of human thoughtlessness; it insisted that God take personal responsibility rather than send an archangel as an intermediary. This midrash, thousands of years old, reveals parallels between the concerns of ancient sages and modern environmentalists. In the midrash, God had to take the dust used to create humankind directly from the earth rather than send an angel to do it, suggesting an implicit covenant offered by God that the earth will not be destroyed by human ignorance. The Angel of the Torah argued with God, saying that the days of human beings would be filled with suffering and that it would be far better if humans were never brought into existence in the first place. Regarding this contention, God said (promised) that humans would endure despite the trials and tribulations of life. God revealed the future to Adam and Eve in a book given to them in the Garden of Eden by the hand of the angel Raziel (secrets of God). This book contained sacred knowledge: 72 branches of wisdom that revealed the formation of 670 inscriptions of higher mysteries. In the middle of the book was a secret writing explaining 1,500 keys to the universe which were not revealed even to the holy angels. When Adam and Eve obtained this book, all the angels gathered around to hear it read. When the reading began, the angels exalted Adam and Eve as if they were God, whereupon the angel Hadarniel was secretly sent to them to say, "Adam and Eve, reveal not the glory of the Master, for to you alone and not to the angels is the privilege given to know these things." Thereupon, Adam and Eve kept it secret and learned for themselves mysteries not known even to the celestial ministers. When Adam and Eve transgressed the commandment of the Master regarding the Tree of Knowledge, the book flew away from them. Adam was so distressed, he entered the river Gihon (one of the rivers of the Garden) up to his neck and stayed there so that his body became wrinkled and his face haggard. (We do not know what Eve was doing during this time.) God thereupon made a sign to the archangel Raphael to return the book, which Adam studied for the rest of his life. He left it to his son Seth, and it went through the generations to Abraham. It is still hidden today, somewhere in the world, for those who know how to read it. Angels argued that humans would be a liability in the creation because they were always fouling things up. If the angels had their way, humans would be out of the picture and the universe would run smoothly and predictably. This, of course, is precisely the point. What would be the purpose of a universe that was totally predictable? The Zohar teaches that angels were created at the moment God said, "let there be light; and there was light." In Hebrew it reads as a repetition: "let there be light; and let there be light." A mystical interpretation of this is "let there be light [awareness] on the right side, the side of goodness; and let there be light [awareness] on the left side, the side of darkness." This interpretation is supported by the next line, which says, "And God saw the light [of the right side], that it was good, and God divided the light [of the right] from the darkness [of the left]." The angels were created on this first day to have a permanent existence on the side of goodness. Rabbi Eleazar says that they will always continue to shine as brightly as they did on the first day. There is a debate regarding the Angel of Death, however. A midrash says that the Angel of Death (the dark side) was also created on the first day. The Zohar says, however, that death was created on the second day because Genesis omits for this day the words "and God saw that it was good," though they are mentioned every other day of creation. The giving of the Torah to human beings is described in the oral tradition as extremely threatening to the angels. This is because the Torah provides hidden information and secret names that give humans power over the angelic and demonic realms. The antagonism of the angels is revealed in the celestial conflict that Moses encountered when he went forth to receive the Torah from God. R. Eleazar said, "When Moses entered the cloud on Mt. Sinai he was met by a great angel, whose name was Kamuel, who was in charge of twelve thousand other angels. He [Kamuel] ran to attach himself to Moses [and thereby overpower him]. Moses opened his mouth, [and spoke the] twelve signs [names of God] that were taught and imprinted [in Moses] by the Holy One at the [burning] bush. [As a result] the angel went away from him a distance of twelve thousand parasangs." Moses continued walking in the cloud and his eyes glowed like embers of fire. Then another angel, more eminent than the first, whose name was Hadraniel (majesty of God), met him. This angel is set above all other angels and celestial beings by a distance of 1,060 myriads of parasangs (25 million miles). Its voice penetrates two hundred thousand firmaments which are surrounded by a white fire. On seeing this angel, Moses was so awed, he could not speak any of the names of God, and he ran to throw himself from the cloud. But, the Holy One said to him, "Moses, you talked about things with me at the [burning] bush where you gained knowledge of the secret holy names, and you were not afraid. Now are you afraid of something that I rule?" Moses was strengthened by the voice of the Holy One. He opened his mouth, and spoke the seventy-two letter supreme name of God. When Hadraniel heard the holy name spoken by Moses, he came close and said to him, "Praised be the distinguished Moses." It became apparent to Hadraniel what the other angels did not see. So he joined with Moses and they went together until they met an angel whose name is Sandalphon. Sandalphon is removed from all other angels by a distance of five hundred years. This angel stands behind the curtain of its master and weaves a crown from the requests of prayers. At a certain time, this crown rises of its own accord and goes past the Throne of Glory to settle in its place [on the head of God], at which time all of the heavenly hosts tremble and say, "Blessed is the glory of God in Its place." Hadraniel said to Moses, "Moses, I cannot go with you for fear that I may be burned in the harsh fire of Sandalphon." A great trembling came to Moses at this time. He ran past Sandalphon and across Rigyon, the stream of fire that burns (purifies) angels, who dip into it each morning and rise anew. The stream is beneath the Throne of Glory and is produced by the perspiration of the holy hayyot (higher angels) who fret out of fear of God. At this point Moses met the angel Gallizur, who is called Raziel. This angel also dwells behind the curtain, and sees and hears everything. Now Moses came to the Angels of Terror, who surround the Throne and are the mightiest of angels. But God told Moses to hold on tightly to the Throne so that no harm would come to him. Thus, the Holy One brought Moses close and taught him Torah for forty days. This description of the journey of Moses to the highest realms gives us a sense that there are levels upon levels of angelic forces, each increasingly fantastic in its dimension. It also suggests that Moses had the capability of transcending even the most imposing angel, Sandalphon, to sit and be instructed directly by God. Sandalphon is considered the "brother" of Metatron, who is the chief of all angels. Metatron is associated with Enoch, and Sandalphon with Elijah. Both Enoch and Elijah are included among the few mortals who never died.